Bocca's Plumbing & Gas are fully certified and licensed for all gas fitting work and can ensure that all appliances and connections are safe to use and do not pose a danger to you. 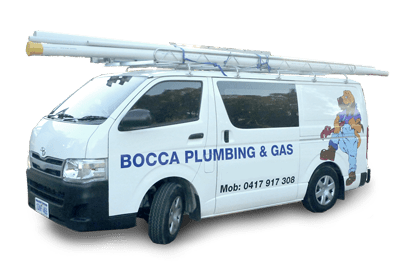 Bocca's Plumbing & Gas fitting Rivervale can take care of all of your gas fitting requirements, whether the pipes or appliances require upgrades, extensions or a complete replacement. We are here to help with your gas appliance installation, gas pipe replacement, gas leak detection and so much more. When it comes to gas issues around your home or business premises don't try to fix it yourself. Call your local gas plumber who are fully licensed and insured. Gas leak in your home? Call Bocca's Plumbing and Gas for any gas leak emergency. Bocca's Plumbing & Gas are experienced in all repairs to gas appliances. We can assist you if you are concerned about how your gas appliance is performing. Bocca Plumbing & Gas is the local plumbing and gas expert you can trust for quality work. Call Luciano on (08) 9478 3154 or Mob: 0417 917 308. All work guaranteed. Not sure about the safety of your gas appliance? Contact us today! At Bocca's Plumbing & Gas, we care about your family. Our quality workmanship and affordable prices will help you with the ongoing costs of gas maintenance. Gas fitting is our speciality at Bocca Plumbing & Gas. Leave your gas work in expert hands. Whether it be domestic or commercial gas fitting requirements.